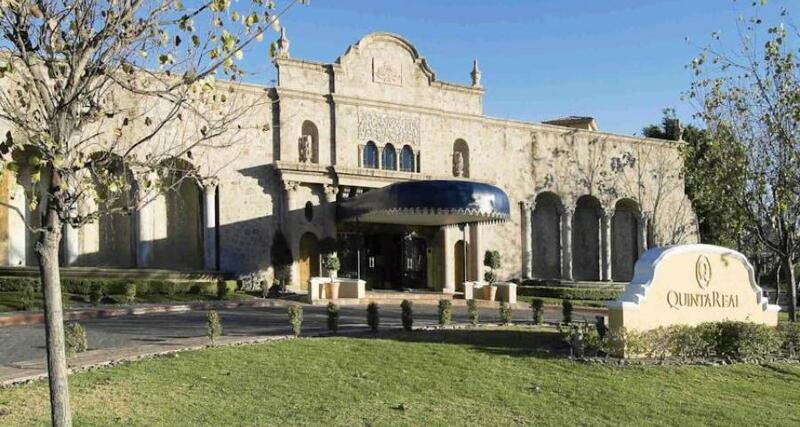 Quinta Real Aguascalientes is a 4.5* resort located in Aguascalientes, Mexico. It features 85 rooms and swimming pools. Located in one of the most traditional and hospitable areas of Mexico, Quinta Real Aguascalientes is a refuge of peace and tranquility. The hotel blends modern services with traditional Mexico and you'll notice the warm hospitality of the staff from the moment you arrive. After a day of business or sightseeing, relax in the outdoor pool or enjoy a Batea Quinta Real (a refreshing mix of tequila, grapefruit, lemon and salt) at the bar before ending your day with a relaxing dinner in the hotel's gourmet restaurant.